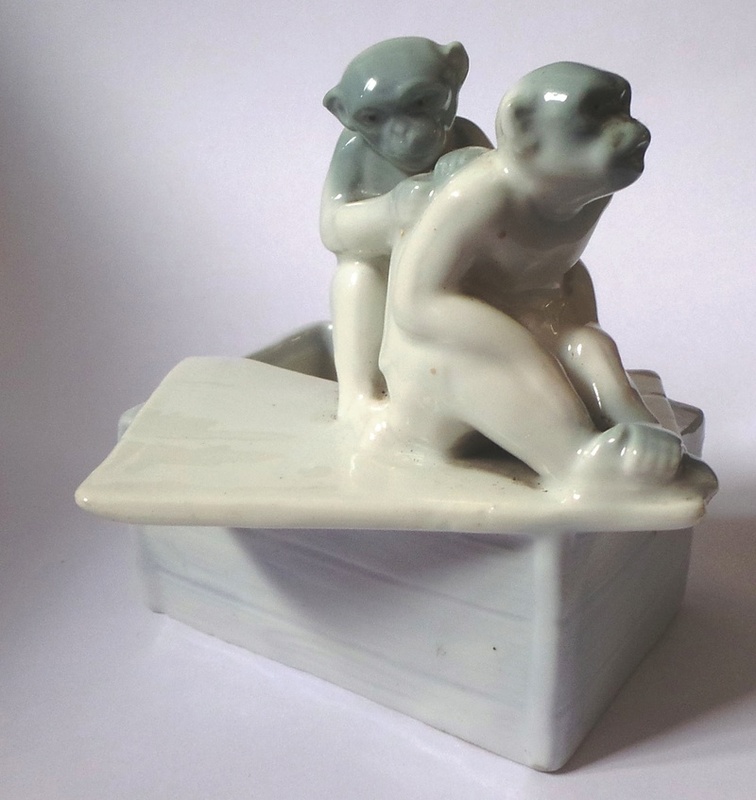 They say you can find anything on the Internet, but having searched hundred's of images and pottery sites, I am no further forward. I hate mysteries and would be grateful for any help to identify this piece. It seems to me that it is nicely made, with good detail, perhaps too well made to be 'junk', but why no maker's mark? The dimensions are: 3" wide x 3" high x 2.5" wide. I think it is porcelain and largely cream colour and parts in very pale blue. The faces of the monkeys being slightly darker blue. The monkey figures have a small hole each (2MM?) on their legs (I guess from being moulded?). It has been in my family for nearly 60 years to my memory, and because the loft is overflowing with things, I need to 'rationalise'. On the base is the following: Depose (with two / accents over the 'e's) followed by 11321. 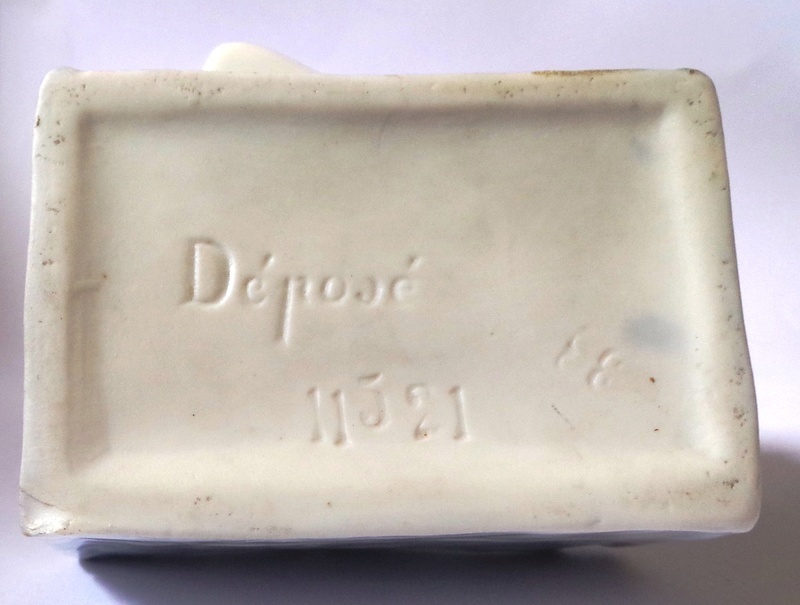 I have read that Depose simply meant it was registered under the French pottery system. 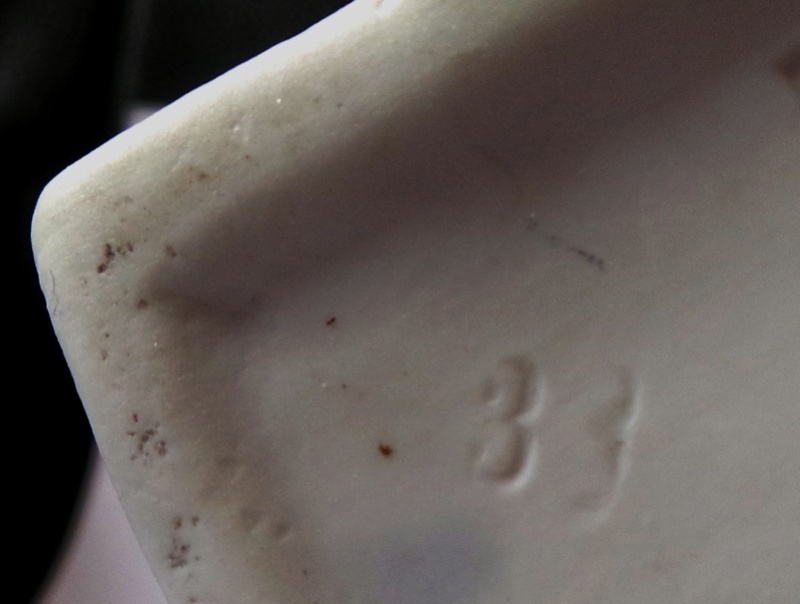 There is also '33' or '38' or 'BB' stamped seperately, but it is has been applied softly and difficult to read. I hope someone can help and I look forward to hearing from you. Agreed, likely to be French or maybe Belgium. Early 20thC?